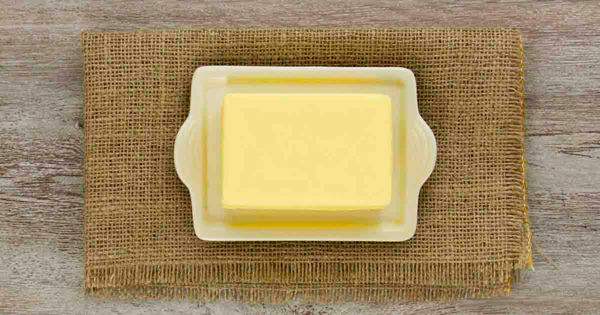 Many people avoid eating butter with the belief that it’s full of “evil” saturated fats. But Dr. Joseph Mercola, Paul Chek and the Western A. Price Foundation clarify that butter and saturated fats promote health. Old-fashioned raw butter from grass-fed cows’ milk contains conjugated linoleic acid (CLA), which helps fight diseases like cancer, diabetes and also helps you lose weight. This time of the year is the best opportunity to stock up on the dark yellow wonderful butter and GHEE from Amos' Farm. In 1953, Dr. Ancel Keys published a paper that compares heart disease and fat intake. Despite his flawed findings, his theory that saturated fat causes heart disease became popular. Many recent studies disproved this theory and showed that trans fat found in vegetable shortening, margarine, and hydrogenated vegetable oils are the REAL sources of many health problems. The best sources for any dietary fats are organic plants and animals. These are plants that are grown in healthy soil according to the principles of traditional farming, without any chemical sprays, pesticide, fungicides and so on. Avoid margarines or spreads as much as possible. They are loaded with unhealthy ingredients including free radicals, trans fats, synthetic vitamins, and preservatives. Organic animals are raised in a healthy, natural environment where they can move around, fed the diet they would eat in nature, and not subjected to hormones, steroids or unnecessary antibiotics. The problem is that most people nowadays, trying to “save money” on food, do not eat these types of foods, but rather consume pesticide-sprayed, genetically-modified vegetables and commercially-raised animals that have been poisoned with cheap and incorrect foods, living in inhumane living conditions. • Vitamins – Vitamin A found in butter supports good vision and endocrine health. Fat-soluble vitamins E, D, and K2 also provide benefits to your health. • Minerals – Butter has important trace minerals such as chromium, manganese, copper, zinc, iodine and selenium–a powerful antioxidant. There’s more selenium in every gram of butter than wheat germ or herring. • Short and medium-chain fatty acids – These boost your metabolism and immune function and have antimicrobial properties that fight pathogenic gut microorganisms. Butter has a perfect balance of omega-3 and omega-6 fats and contains arachidonic acid, which helps improve your brain function, skin health and prostaglandin balance. • Glycospingolipids – This special category of fatty acids protect children and elderly people from gastrointestinal infection. Children who drink reduced-fat milk have higher diarrhea rates than those who drink whole milk. • Cholesterol – It helps brain and nervous system development among children and maintains intestinal health. • Wulzen Factor – This hormone-like substance puts calcium in your bones, not in your joints and other tissues. It prevents joint and arthritis stiffness. The Wulzen factor is destroyed during pasteurization, so it’s only found in raw cream and butter. • Heart disease – Vitamins, A, D, E, K2, lecithin, selenium and iodine protect against heart disease. A Medical Research Council survey proved that people who ate butter had half the risk of developing heart disease compared to those who ate margarine. • Cancer – The fatty acids in butter have potent anti-tumor effects. • Arthritis – The Wulzen or “anti-stiffness” factor protects against hardening of the arteries, joint and pineal gland calcification, and cataracts. • Osteoporosis – Vitamins A, D, and K2 in butter helps you absorb phosphorous and calcium better, building strong bones and teeth. • Goiter – Vitamin A helps maintain good thyroid function. The highly-absorbable iodine in butter prevents goiter and is a good alternative to seafood. • Digestion – Glycospingolipids protects against gastrointestinal infections. • Asthma – Saturated fats protect against asthma and promote good lung function. To summarize the truth about fats, ask yourself – how did we get here? If saturated animal fats were the villain, none of us would be here. We evolved on diets that were for the most part 50%-80% animals, fish and birds, all primary sources of saturated fats. While the media states that saturated fats are bad for us, it is my belief that it is not the saturated fat that is bad, but it is what the commercial farmers are doing to the animals that makes their fat bad. Is YOUR Food Selection Making YOU Sick? Because MRT accounts for all types of sensitivity based inflammatory pathways, and because MRT is able to quantify the inflammatory response, MRT makes identifyingyour truly health foods much easier. This means MRT will give you faster and more complete relief than any other method. In fact, independent studies confirm MRT is the most accurate blood test there is for food and food-chemical reactions. MRT is exclusively available from Oxford Biomedical Laboratory. Normally, the 150 substance test profile* (see below), which tests for 120 foods and 30 chemicals is available direct from the lab for $595 + the blood draw fee. However, Healthy Food Club has negotiated a discount for its members who can order the test for only $495 click here (blood draw fee is not included), a savings of $100 on the most advanced food sensitivity blood test. If food sensitivities are part of the reason your health is less than you’d like, MRT is your best choice. *Note: The Cow’s milk antigen is pasteurized cow’s milk, not raw.